Have you ever dreamed of packing up your desk and leaving the “real world” behind? A luxury eco-resort in Panama can be yours for $10. One Detroit, Michigan couple did just that in 2013. And now they’re giving another person the chance to live a life in paradise. 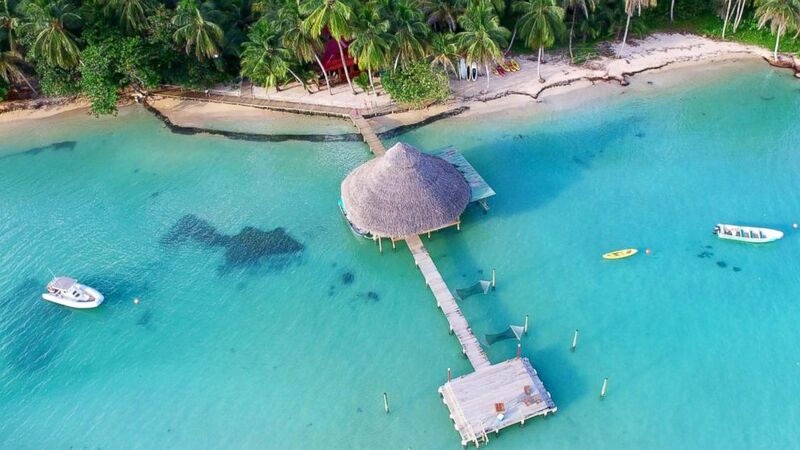 The couple — who now have a young daughter — are the owners of Casa Cayuco in Bocas del Toro, Panama, a 40-minute flight from Panama City. The property is a top-rated resort in Panama. For $10, hopefuls can enter a contest to win the resort run by British competition organizers WinThis.Life. The company is also giving $50,000 to the winner of the “spot the ball” type contest. The current owners are an American couple from Detroit, Michigan. The 24-bed resort will become owner of four stand-alone cabins, a main lodge, two lodge suites, and an air-conditioned luxury owner’s suite on two-acres bordered by the sea and the rainforest. The company running the contest will also give the winner $50,000. The $10 buys entry into a contest which will give the resort to one lucky winner. Dave and Suzanne Smith turned the once-rustic property into a top-rated resort on TripAdvisor. Today, it attracts yogis, eco-travelers, honeymooners and families.